If you have a vegan lifestyle and looking for vegan dance footwear - shoes & boots that contain no animal products, it can be a daunting task. In recent years, vegetarian shoes and products have come a long way. With advances in synthetic manufacturing, non-leather goods and materials are now virtually identical to their genuine counterparts. Fortunately, now, we offer both in stock and custom made vegan dance shoes for dancers enjoy living a vegan lifestyle. Please click here to see 100% vegan shoes available for immediate shipment. You can also select most shoes from our other collections to be custom made in vegan. 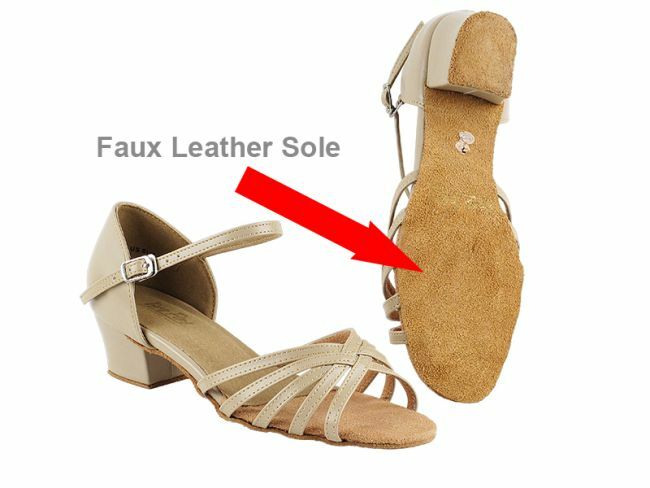 There are two types of sole for vegan shoes: PU sole (suitable for outdoor use) & faux leather sole (imitation cowhide suede made with nanofiber material). See depiction below.